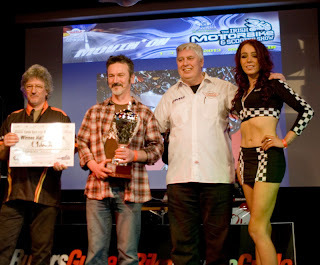 TWO custom bike builders won expenses to take their bikes to the AMD World Championship of Custom Bike Building when the Irish Motorcycle and Scooter Show hosted the Irish affiliate round of the Championship. The event which was held in Dublin, Ireland, over the weekend of 1-3 March had prize packages for both domestic and international custom builders in the Custom Show. 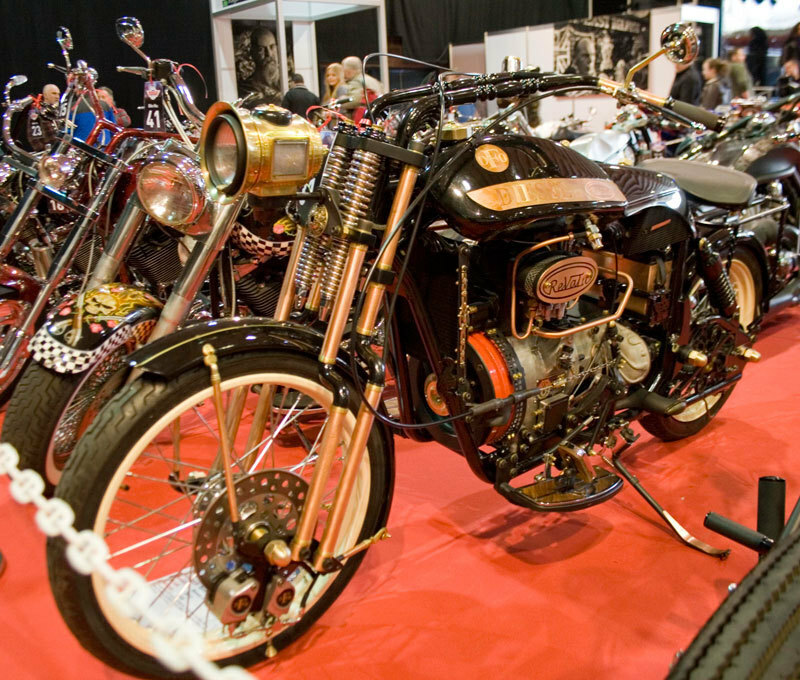 In a repeat of the 2011 Show, Netherlands-based René van Tuil, of Revatu Customs once again took the top prize in the International class. This year his build was a one-off, vintage-styled, custom built around an Arona 600cc diesel engine. A one-off frame with adjustable Springer forks and a Panhead / FX Shovel hybrid motor from Italian custom shop took second place for Italy's Inglourious Basterds Cycles, while Destiny Cycles from the UK mainland placed third with Vic Jefford's Carousel. It was a similar story of a former winner coming back to take the top spot with the domestic builder prize package. 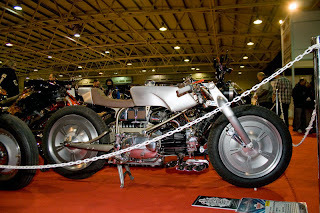 In 2009 Don Cronin took the prize of travel expenses to the World Championship of Custom Bike Building and he did the same again this year with his Moto Guzzi engined Nouvo Falcone. 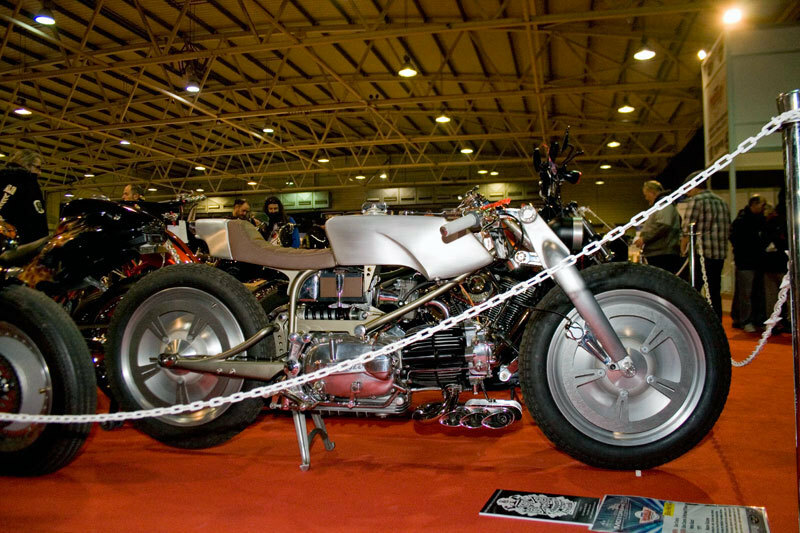 Built in conjunction with Michael O'Shea, the bike with a V-Rod swingarm as the front end and V-Rod wheels, features numerous one-off parts and elaborate detailing that made it a clear winner in the Freestyle class. 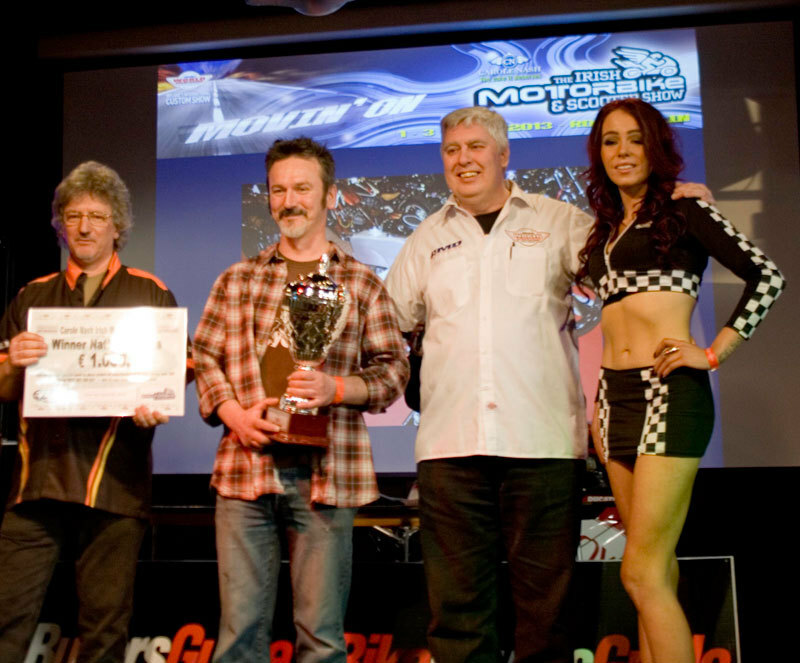 In a first for any affiliate show in the World Championship's history second place was taken by a sidecar outfit in the form of Noel Connolly's Model A "whiskey Chaser", a ground-up build inspired by board track racers and powered by a Honda GC160 generator engine. The top three was rounded out by a Sportster based build from Dinny Shannahan, which was 80 percent handmade.